What would you get if you could mix the electrifying energy and percussion of STOMP with the dazzling stagecraft and playfulness of Blue Man Group – plus the pure athleticism of Pilobolus dancers? 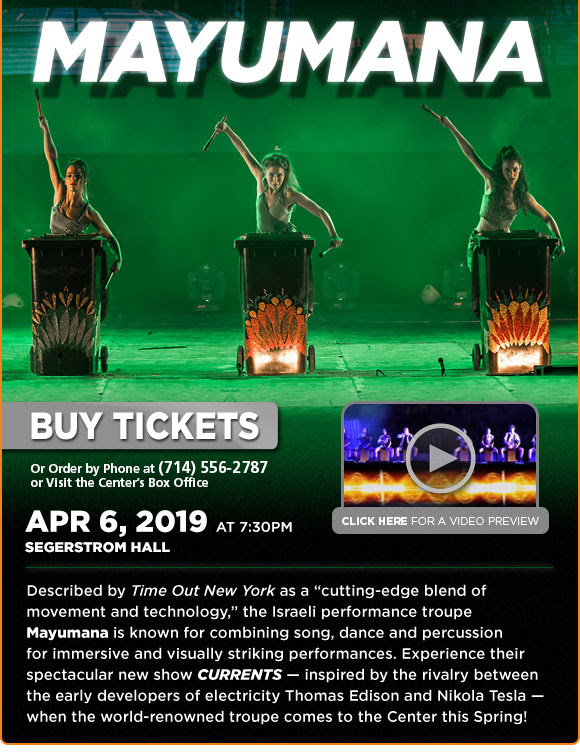 This is the only way to describe the mesmerizing and immersive universe that percussion dance troupe Mayumana creates on stage. 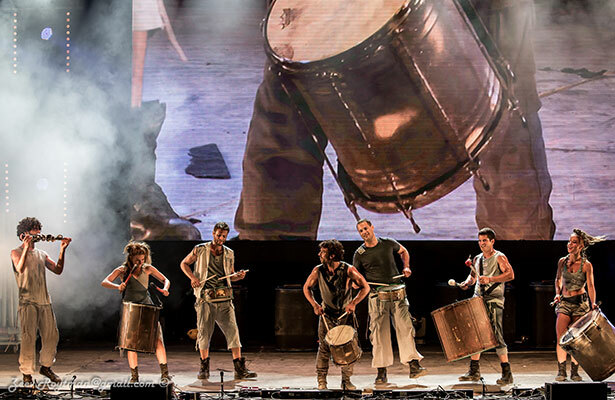 Featuring gifted performers from around the globe, Mayumana is one of Israel’s leading cultural exports, entertaining millions of people around the world. Its spectacular show “Currents” — inspired by the historic battle between Thomas Edison and Nikola Tesla to discover new energy sources — transports audiences on a journey between two troops, each using inventive choreography, music and visual effects to convey different views of light and electricity. This innovative production combines numerous elements, including 11 skilled performers engaged in constant movement, massive video art projections, and versatile musicians playing custom-made instruments. To ensure our emails reach your inbox, please add boxoffice@SCFTA.org to your address book.